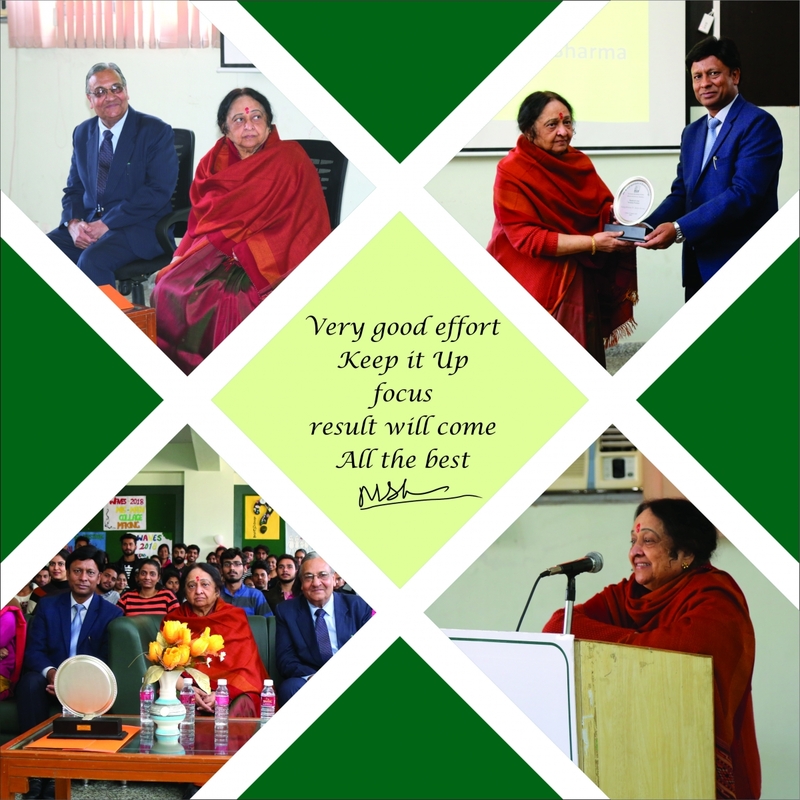 Dr. B. Lal Institute of Biotechnology was graced with the presence of Padma Bhushan Dr. Manju Sharma ( Ph.D., FNASc, FNASc, FNAAS, FTWAS and FIAWS, Formerly NASI-DST distinguished Woman Scientist Chair Professor, President NASI or ISCA Secretary Govt. Of India DBT, Principal Advisor, Dept. of Science & Technology, Gujarat, President & Executive Director Indian Institute of Advance Research) on 11-1-19. During the interaction, our eminent guest enlightened the gathering regarding the developments of Science and technology in India. Ma'am discussed the initiatives of the Govt. of India towards the progress of Biotechnology and enforced the need of Biotech students to develop skills and master a domain of biotechnology that interests them. The enormous opportunities in fields like Biomedical, Agriculture, Food and Computational sciences were discussed.